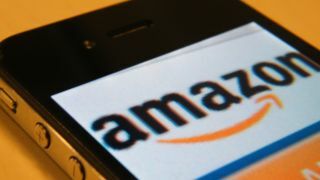 Amazon has dropped a controversial policy which prevented its marketplace sellers from offering their product cheaper through other sales channels. The 'price parity' policy had meant sellers in the EU had to keep ensure their lowest price was the one that appeared on Amazon. However, third-party sellers can now set prices as they see fit. The Office of Fair Trading, which had received complaints from businesses, had raised concerns that Amazon's practices may be anti-competitive and could affect how sellers price their goods, even on their own websites. The OFT has welcomed Amazon's u-turn and will now cease its investigations into the company's practices. The supremely-named Cavendish Elithorn, OFT Senior Director of Goods and Consumer, said: "We welcome Amazon's decision to end its Marketplace price parity policy across the European Union. "As Amazon operates one of the UK's biggest e-commerce sites, the pricing on its website can have a wide impact on online prices offered to consumers elsewhere. We are pleased that sellers are now completely free to set their prices as they wish, as this encourages price competition and ensures consumers can get the best possible deals. "The OFT recommends that other companies operating similar policies review them carefully. Businesses concerned that they are being prevented from setting their own prices should not hesitate to contact the OFT."